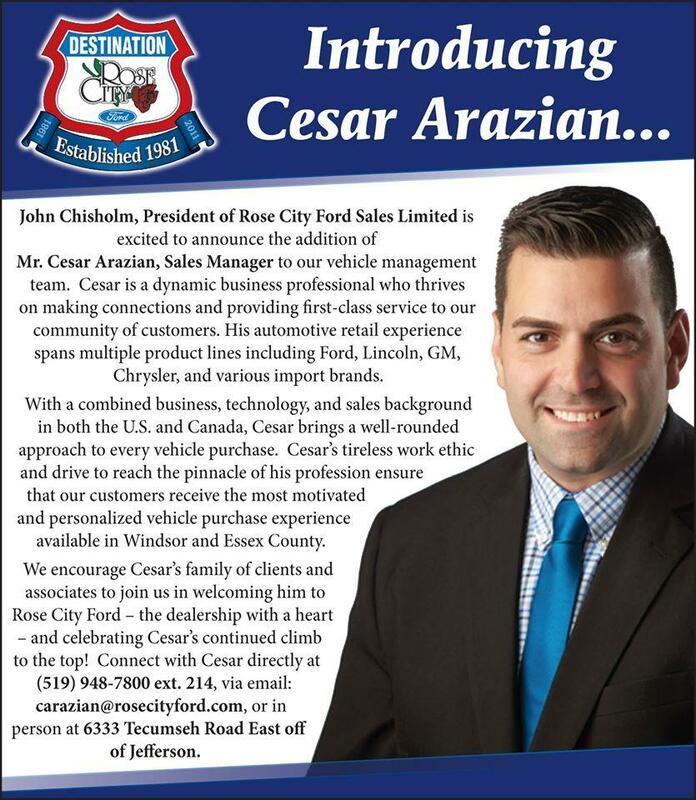 Welcome Cesar Arazian to the Rose City Family! Welcome aboard Cesar from the entire Rose City Ford family!! We are thrilled and excited to have you join our team! To all of Cesar's friends, family, and clients (new and old): join us in celebrating Cesar's new position by LIKING our page and get a chance to win $150 of gas gift certificates! Contest ends October 31st, 2015! !